Flåm Railway Museum & Documentation Centre – next to the railway station, with free admission. Flåm Panorama shows the film “Living with the fjord” every half hour. 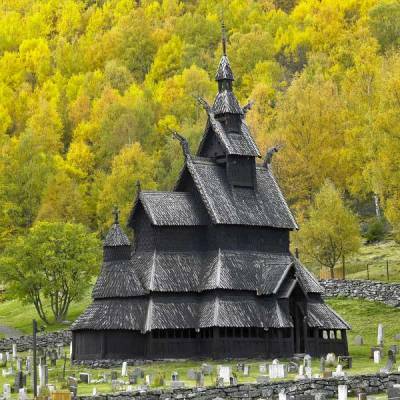 Flam Church – wooden church built in 1667 and located 2 miles up the Flam River from the harbor. 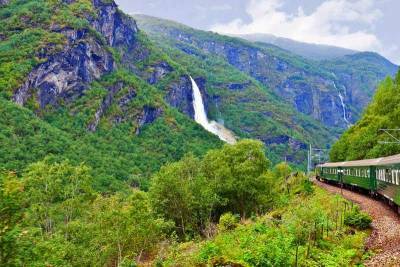 The Flam Railway climbs nearly 3,000 feet in 12 miles from Flam to Myrdal Station. 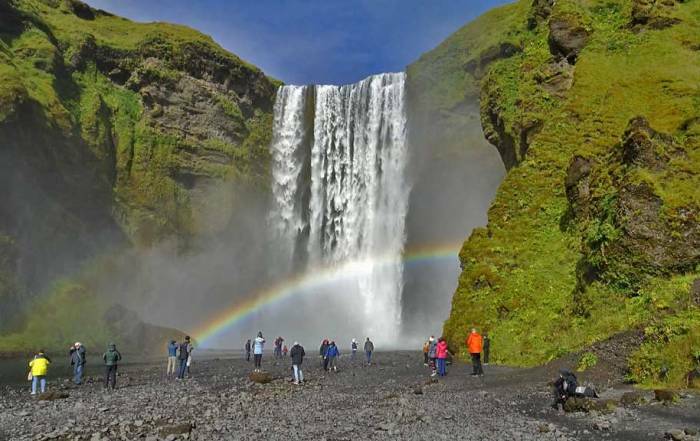 The train ride takes an hour, including a brief stop at Kjosfoss Waterfall along the way. Sit on the right side going up to Myrdal Station for the best views. You can take a round trip train ride or make your own further arrangements when you get to Myrdal. The Bergen Line Railway offers online bookings from Myrdal to either Voss or all the way to Bergen. In Voss, you can then catch a bus back down to Flam. The buses wait for the train to arrive in Voss, so you won’t have to wait at all. The bus goes by the Tvinde Waterfall and the Stalheim Hotel, overlooking the Nærøy Valley. Then the bus descends the switchbacks of the Stalheimskleivane—the steepest road in Norway. The final section is a bus ride from Gudvangen through the Gudvanga Tunnel to your starting point in Flam. 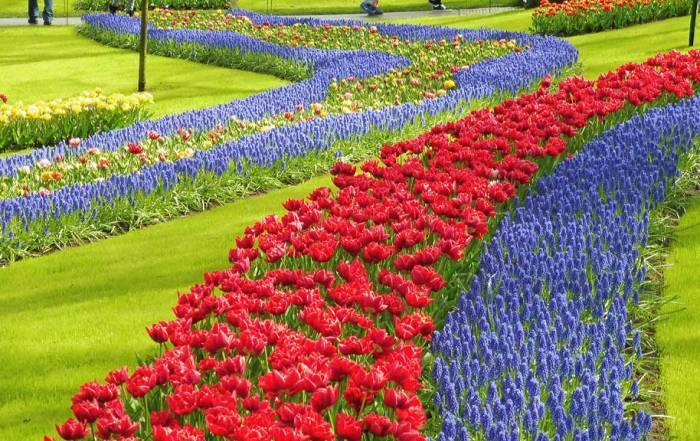 If making your own arrangements for the Flam Railway seems too complicated, check out any of the tour companies offering Noway in a Nutshell from either Bergen or Oslo. These companies make all the arrangements with the Bergen Line Railway, the Flam Railway, the bus, plus a fjord cruise all in one package deal. 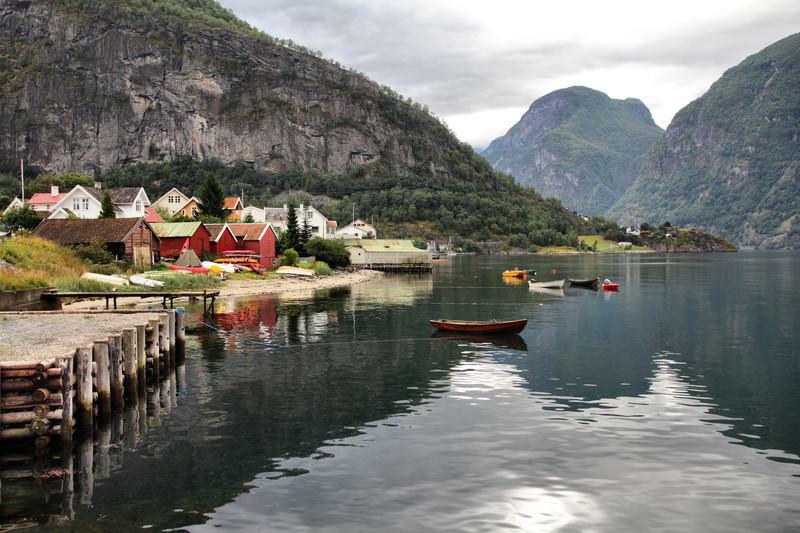 Once you get to Flam, you can explore the fjords. Flam is on the Aurlandsfjord. 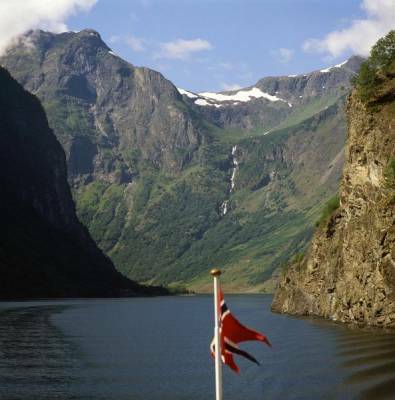 Take a fjord adventure cruise that covers both the Aurlandsfjord and the Naeroyfjord. Make sure you pick the Premium cruise as it offers great views from all over the boat during the 2.5 hour fjord cruise. The cruise is also available as part of the Norway in a Nutshell excursions offered by several companies, but you can book the fjord cruise separately through Flam Adventures. The Aurlandsfjord and Naeroyfjord fjord adventure ends in Gudvangen. From Gudvangen you then take a local bus through the tunnel back to Flam in less than half an hour. 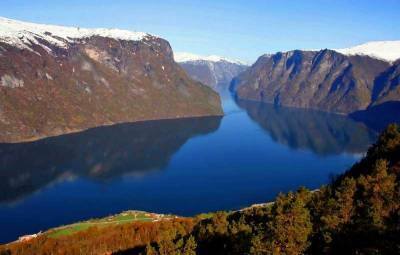 The Naeroyfjord is the narrowest fjord in the world and is a World Heritage site. You can also do the fjord cruise in the reverse direction. For another fjord adventure, take a local bus on a half hour ride from Flam to the small village of Aurland on the Aurlandsfjord. A steep series of switchbacks then takes you to the Stegastein Viewpoint where you get fabulous views back down over the fjord. For even more fjord adventures, ride the express ferry to Balestrand and dine along the water at the majestic Kviknes Hotel. 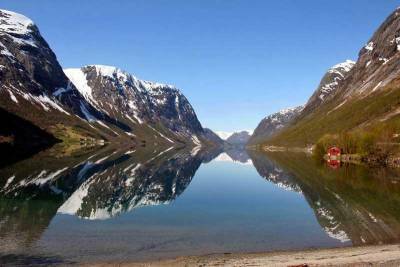 If you want an even longer fjord cruise, take a Norled 5.5 hour one way Sognefjord cruise all the way from Flåm to Bergen. Norled calls this an express boat, but the ferry makes 10 stops at small villages along the way. 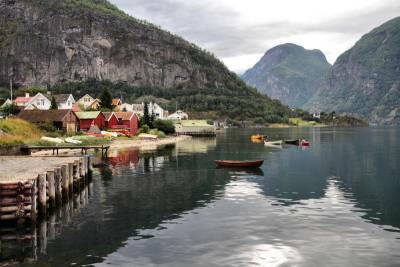 Visit the village of Lærdal, passing through the 15 mile long Laerdal Tunnel on a 45 minute drive from Flam. Lærdal has many protected 18th-century buildings, including the Borgund Stave Church, built from wood in the 1100s. 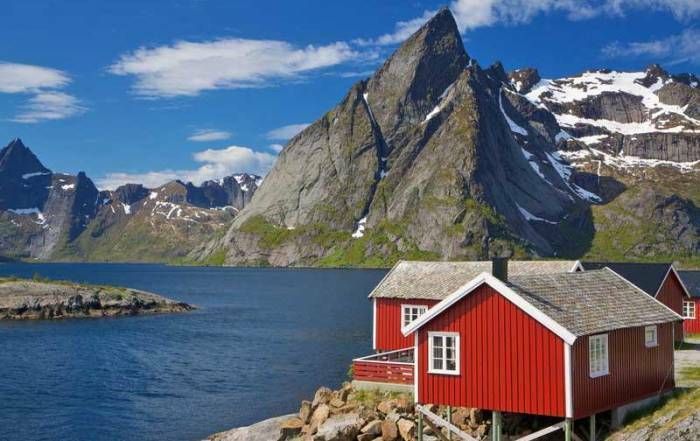 Visit Osterbo Mountain Lodge, which is 45 minutes east of Flam on a steep drive up from the fjord. Visit Otternes Farm near Aurland, a heritage site of 27 buildings dating back to the 1600’s that 4 Norwegian families once lived in. Bike the Rallarvegen Bike Trail from Finse down to Flåm on the Roof of Norway route. Take a day trip to Solvorn or continue north even farther to Jostedalsbreen National Park to see the largest glacier in Europe. The word “breen” in Norwegian means “glacier”. 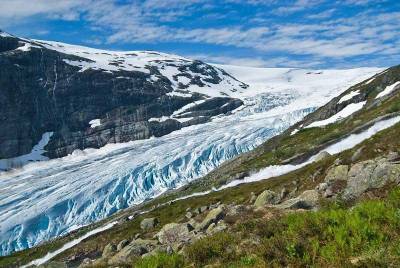 The Jostedal Glacier has more than 40 arms, including the Briksdalsbreen and the Nigardsbreen. Visit the Jostedal Museum and then take a hike on the Jostal glacier. The Flam Railway from Myrdal. This is a popular tourist route. Take the Bergen Line Railway from Oslo or Bergen. Then ride the Flam Railway down to Flam. 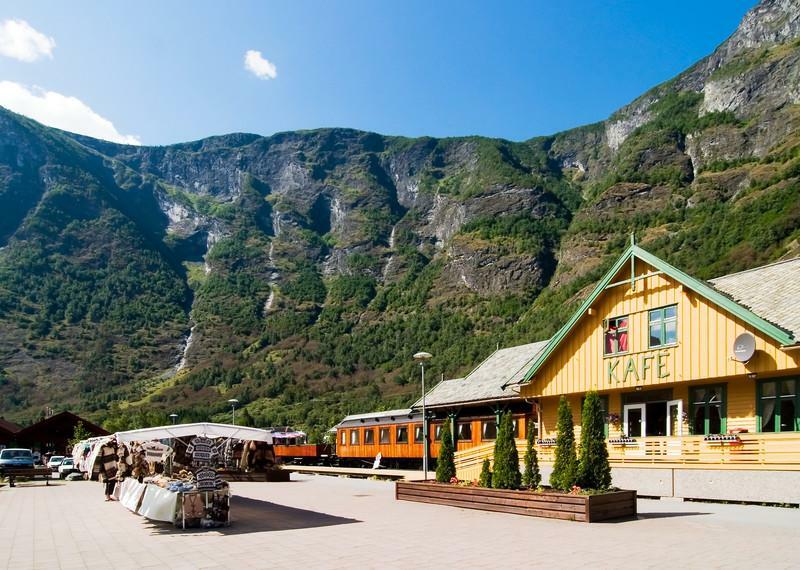 Ride the Bergen Line Railway to Voss and then ride the bus to Gudvange, then through the Gadvanga Tunnel to Flam. This route works for cars too. 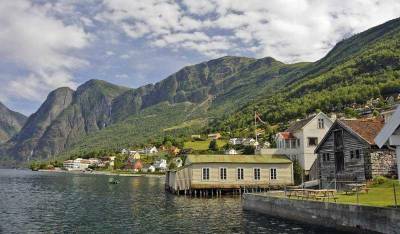 Take the Norled ferry from Bergen for 4 hours to Balestrand and then 1.5 hours to Flam. Take an ocean cruise liner from the UK, Amsterdam or Copenhagen that stops in Flam. Flam weather never gets very warm, because it’s so far north. The long days of the Norwegian summer from May to September are the best time to visit this area. July and August are the warmest months with average highs of 61 F (16 C) and average lows of 45 F (7 C). In the winter months from December – February, average highs are 28 F (-2 C) and average lows are 16 F (-9 C). Rainfall is spread fairly evenly over the year, but is slightly higher in July and August. 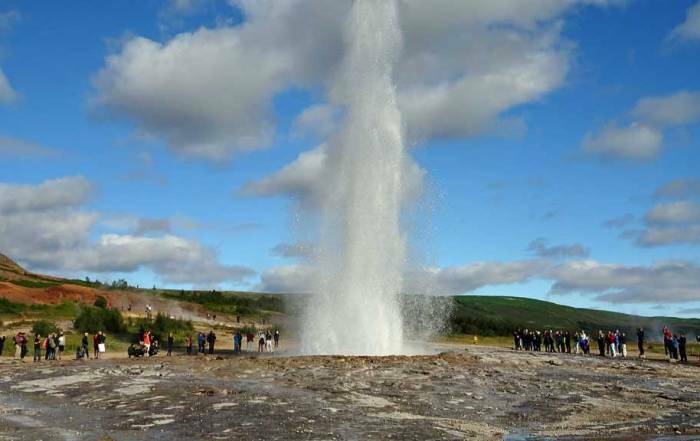 Many attractions close at the end of the busy summer tourist season. Flam is a popular destination on Aurlansfjord, an arm of Songefjord. The name Flam means “flat land” in Norse, which refers to the small area of flat living area on the fjord. 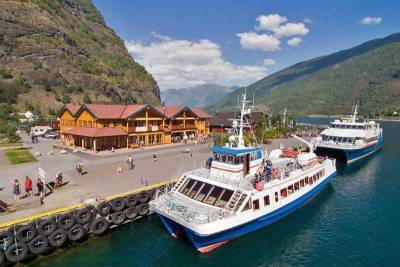 Flam has become a standard port of call for cruise ships visiting the Norwegian fjords during the summer. 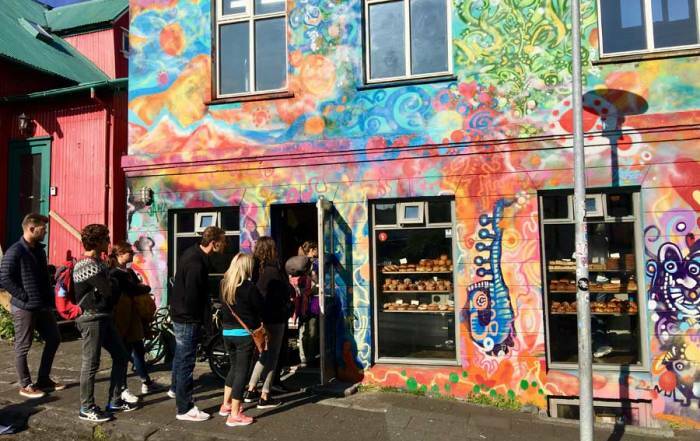 Tourists also often include a trip to Flam when they visit Bergen.